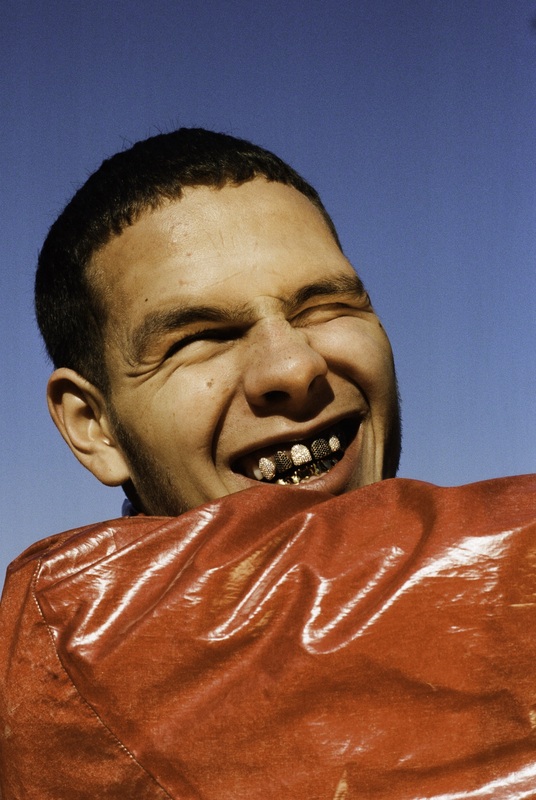 Northampton-born rapper slowthai is the new grinning face of disenfranchised Britain, and he’s just announced a tour with tickets costing only 99p. The 24-year-old’s debut album Nothing Great About Britain isn’t out yet—it’s set to release in May—but his singles are gaining mounting acclaim from the BBC and The Guardian alike. While these tracks are soaked in infectious energy and unique authenticity, slowthai’s true power lies in how he connects to Britain’s underfunded, overlooked people. In his announcement for the 99p tour the rapper and self-dubbed ‘Brexit Bandit’ has vowed “I’ll come to every pub, your Dad’s favourite working men’s club”, “I’m trying to go to places where no one ever goes”. 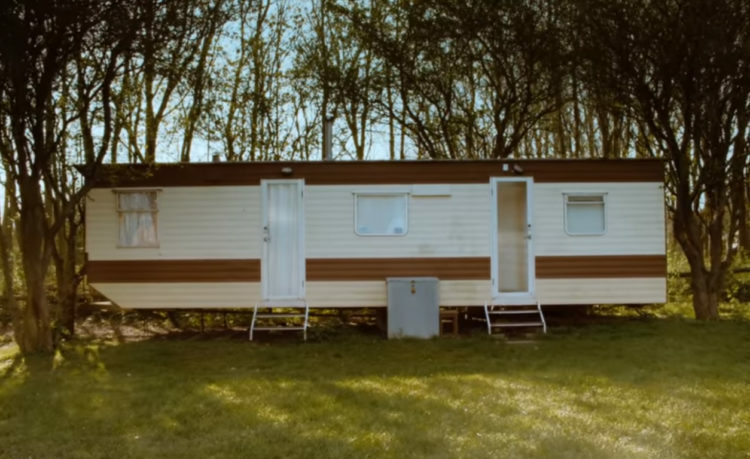 Similarly, his new music video ‘Gorgeous’ is a collection of visceral visuals belonging to Britain’s sidelined class—an homage to cities perceived as peripheral across the country. This fixation on London is particularly prominent in the UK’s rap scene. From an international perspective, British hip-hop and London grime are often seen as one and the same. Exposure can be slim for the plethora of underground rap scenes bubbling beneath Britain’s surface. But some artists are managing to break through this over-saturation—from Mancunian IAMDDB, Birmingham grime artists JayKae and Lady Leshurr, to the Brexit Bandit himself. Slowthai’s success is diluting London’s monopoly over the UK rap scene, but so is his subject matter. With wordplay brimming with references to his upbringing and Northampton road names, slowthai’s music sits on new, but still quintessentially British, soil—and it feels era-defining. Something consistent in slowthai’s music is its candidness; an authenticity that stems from the stories he’s cultivated from his hometown. In ‘Slow Down’, one of his earlier tracks, the artist reminisces about his childhood growing up on Lings, a Northampton council estate: “Used to share a room with my sister/ single beds with the telly/ Bend the hanger for a picture”. He also divulges experiences of feeling adrift, disaffected and marginalised: “No father figure, but my mum was watching…butterfly stomach, didn’t have no options/ Drugs or a job and the job got lost quick”, “Voice in my head/ Don’t go to the doctors/ Go to the pub/ Brandy and a Fosters/ Bottom of the barrel, Bubbling like hops does”. His personal catharsis evokes feelings that transcend location, and will no doubt speak to countless people’s experiences. In a world of toxic masculinity, an issue that particularly plagues working-class backgrounds, slowthai is making the first move to be vulnerable, and he’s only growing in popularity for it. So what’s the rapper to do now he’s got the country listening? A punk at heart, slowthai seems intent on advocating for political change and disrupting the very systems that fail Brits up and down the country. Tracks like ‘North Nights’ feature rhymes bubbling with discontent for Theresa May, while another recent verse confronts rising nationalistic attitudes: “your EDL, real English boy/ St. George’s flag, Doc Martens boy”. Slowthai’s real word actions speak just as loud as his words. His new 99p tour is, of course, exciting for the inclusive nature of the price, but even more so for the rapper’s fervour to venture to small-town non-venues with an aim of connection. For the pre-order of his album, slowthai recently put up guerilla-style billboards across London brandishing political statements and statistics. One billboard discloses “Recorded offences of hate crime in the UK have increased by 123% in the last five years”, the next fires shots at Boris Johnson. It’s a brand of activism that doesn’t claim to have it all figured out, but with dissatisfaction growing across the UK towards Corbyn and Labour inaction, many fans are hailing slowthai’s in-your-face politics as the approach the country needs right now. With austerity and unrest showing no signs of slowing and an ambiguous Brexit deadline hurtling ever forward, the conversation surrounding British national identity is a tricky one for many, let alone the topic of national pride. Maybe slowthai is right, maybe there is nothing great about Britain. But through his eyes, it’s hard to not see something good in Northampton. Perhaps something great can be said for the communities across Britain where people can find home amongst the harshness. A duality that is summed up perfectly by the ‘Brexit Bandit’ himself: “Nothing great about Britain/ is and it isn’t”. Header image courtesy of slowthai.